Have you ever been frustrated by a friend who refused to take your good advice? Almost everyone can answer yes to that question. Following are a few tips to help get friends and family to listen to you when offering good advice. BE SURE THEY FEEL UNDERSTOOD. This cannot be overstated. Listen to your friend carefully and convey you truly understand where they are coming from. Knowing they have been heard is crucial. If they don’t think you understand their story, you won’t have credibility with them. Walk them through the consequences of taking your advice vs. not taking it. Talk about what you predict will happen next week, next month, next year and in five years if they take your advice or don’t take it. Ask your friend what they need from you. Maybe they really aren’t seeking advice. Perhaps they are just looking for a sounding board or someone to help brainstorm different ideas of how to solve their problems. Be confident. 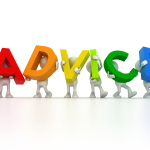 If you don’t feel sure of the advice you are giving, consult with someone to increase your confidence. Speak carefully. Be thoughtful about how you word your advice and be sensitive to the friend’s feelings and emotional state. Sometimes what you say isn’t has important as how you say it. Be sure your advice is realistic for your friend. Some people struggle with struggle with intense emotions, impulse control and destructive behaviors. If this is your friend he or she may not be able to follow your advice regardless of how good it is. Friends who refuse to follow good advice are sure to cause of frustration even if you are able to put all these tips into practice. Hopefully you found this information helpful. Erin Kassebaum provides mediation, coaching and parenting consulting services. She is located in Bloomington. Please feel free to contact Erin with any comments or questions at 612.599.8366 or erin@resolutiondivorceservices.com. Of course, as a mediator, I am thrilled with the idea that divorcing couples would routinely begin the process cooperatively working with neutrals. Obviously it would be good for my mediation practice. 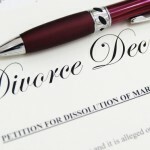 More importantly, however, it would benefit families by saving them money and relieving some of the stress and emotional pain that can accompany the traditional adversarial divorce process. It is important to note the bill would still allow couples to opt IN to the legal divorce process. Cooperative divorce is not appropriate for all couples, particularly couples where there is a severe power imbalance, domestic violence and mental health issues. We are sure to hear more about this bill in the weeks and months to come. I would love to hear your opinions in the comment section.